Thelonious Monk's music has been more misunderstood and misinterpreted than most composers.' How you play Monk's music is just as important as what you play, and what you don't play is often just as important as what you do. "The first Monk song I heard was when I was about 14it was 'Off Minor' by his septet," recalls Terry Adams, founder and keyboardist for the New Rhythm & Blues Quartet (NRBQ). "I had begun to figure out some things about music I was hearing, such as the I, IV or V chord and then beyond. But after hearing Monk, suddenly I knew nothing. It was a great mystery that sounded wonderful." But there's no mystery about Talk Thelonious: NRBQ+ plays Terry Adams arrangements of Thelonious Monk Songs. Captured live at a 2012 performance with the full band and a few special guests, its wonderful magic is obvious. Adams' solo piano conjures "Monk's Mood," joined in its spell by harmonica which floats in like an overhanging blue cloud, then turns into the melancholy red and orange shades of dusk from pedal steel. "Hornin' In" sum up Monk's stride piano roots and rocking rhythms, while its harmonizing horns capture his unique voicings, all in three playful minutes, and his arrangement of "Think of One" wobbles and skips, melodically and rhythmically, in all the right places. The live tracks culminate in Monk's classic "Straight, No Chaser," rendered in a jaunty country two-step with pedal steel and finger picking that would spread a slow smile over even Monk's often stern countenance. Talk Thelonious closes with its one studio track, Adams' extensive and romantic arrangement that breathes lush new life into "Ruby, It's You." "'Ruby' is something I've been working on since I was a teenager," Adams admits. You can more than hear, you can genuinely feel, Adams' love and respect for this music through every note. "After almost fifty years of listening, studying, and being spiritually open to this music, I had the pleasure of arranging the way it felt right in my soul," he explains. 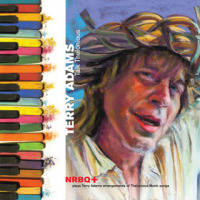 Talk Thelonious: NRBQ+ plays Terry Adams arrangements of Thelonious Monk Songs certainly proves worth its fifty year wait. In the mid-1990s, Gary Burton organized sessions that truly deserved to be called "all-star"teaming the ace vibes player with guitarist Pat Metheny, pianist Chick Corea, bassist Dave Holland and drummer Roy Haynesand which resulted in the acclaimed Like Minds (1998, Concord). With all respect due to the amazing credentials of Burton and friends, Dewa Budjana's Hasta Karma frequently echoes and matches the stunning, glistening beauty of the music made by Burton's five Like Minds. For his fourth MoonJune release, this visionary guitarist teams with bassist Ben Williams and drummer Antonio Sanchez, the rhythm engine of Pat Metheny's Unity Band; this core is joined by vibes player Joe Locke and keyboardist Indra Lesmana, a native of Indonesia like Budjana. "I was really impressed by their discipline," Budjana reveals in his liner notes, "and how smoothly and precisely they executed each track. They really gave different souls to each song, far beyond what I had imaginedespecially Antonio, with his unique rhythmic variations. It was great to have the current Pat Metheny rhythm section, and working with a vibraphonist was a total novelty for me; my guitar and Joe's vibraphone matched and blended perfectly, like a Gamelan." 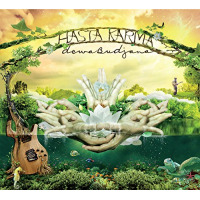 Hasta Karma is lush and ripe with flowing, beautiful melodies. Locke's vibes swimming in the rhythm beneath Budjana's soaring, singing electric guitar doubling and counterpointing its linescreates a shimmering, bright beauty in the opening "Saniscara," a beauty that Budjana's subsequent solo shreds in a spasms of electric guitar god glory. Locke's vibes leads "Just Kidung" through its nimble, sing-song melody; Locke and Budjana drop out to create room for thoughtful solos by the rhythm section and pianist before the melody reunites the ensemble and Budjana unleashes hard rocking buzzsaw guitar to close. "Ruang Dialisis" emerges from more personal space. After wading through an electronic sound portrait very much like Robert Fripp-ertronics, it settles into a stately and somber rhythm which parts for a sampled, looped, and very human vocalthe voice of Budjana's grandmother chanting the traditional Mamuit farewell song at the funeral of her son, Budjana's father. (She too passed away six months later.) Budjana concludes with a soft misty reflection through "Payogan Rain." Amazingly, Hasta Karma is the result of a single session recorded in a single day. 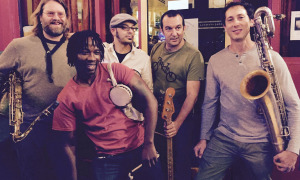 "We had an International World Combination," Budjana suggests, "from Balinese roots melody lines with Mexican jazz drumming to African-American bass grooves and Western vibraphone, it's totally a world music. I like these kinds of multi-dimensional, multicultural, multi-ethnic combinationsthey're really inspiring." 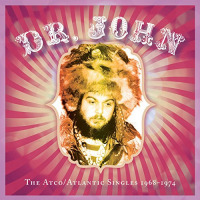 If you have a musician friend who plays in a rhythm section, or just a friend who simply loves rhythm, drop Dr. John: The Atco/Atlantic Singles 19681974 on them. Throughout these 22 tracks, every A-side and B-side of every Dr. John Atco/Atlantic Records single issued in the US and the UK, produced by such industry giants as Jerry Wexler and Ahmet Ertegun and New Orleans legends Harold Battiste and Allen Toussaint, this good doctor's rhythms are swirling, offbeat, and deceptively yet murderously funky. This set opens with "The Patriotic Flag Waver," 1960s political commentary on the John Birch Society, NAACP, KKK and so on, from the perspective of a reactionary who's "One hundred percent for Uncle Sam," built upon a pastiche of children singing "My Country 'Tis of Thee" and "America the Beautiful," martial drumming, and John's almost deadpan recitation of the decade's myriad social complications. But it truly begins with the double-sided "I Walk on Gilded Splinters (Part I)" and "(Part II)," a darkly mysterious mix of percussion, bass, guitar, and chanted vocals that bounce around as if trapped inside a haunted mansionone of John's first hits, one of the first incarnations of his famous "voodoo doctor" persona, and which, in 1968, must have sounded like it dropped in from an alternative musical universe. In "Gris-Gris Gumbo Ya-Ya," we meet "The Night Tripper" for the first time, a spooky medicine man from the swamp shrouded in dark, mysterious New Orleans music. John dives deep into the Crescent City classics "Iko Iko" and "Big Chief," stirring them into thick musical gumbo, and joyously rumbles through his " Huey 'Piano' Smith Medley" with the sound of a broad-faced grin. "A Man of Many Words" teams him with blues guitar legends Buddy Guy and Eric Clapton, and he helps himself to the electric guitar solo in Willie Dixon's blues classic "Wang Dang Doodle." Recorded with Toussaint and New Orleans' legendary rhythm ensemble The Meters, "Right Place Wrong Time" (from his 1973 breakout In The Right Place) shines a light on John's unique gift for merging New Orleans, funk, R&B, and rock musicand wound up breaking into the pop Top Ten. "These Atco and Atlantic sides were clearly the right place, right time recordings," musicologist Gene Sculatti writes in this set's notes. "They put Dr. John on the map and into the ears and minds of music enthusiasts the world over." 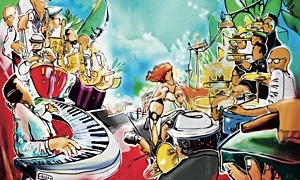 Even though they're based in Washington, DC, every piece of music from The Empresarioseither their own or in collaboration with otherssounds like you've just rolled into a torrid party on tropical Miami Beach. And even though they're based in Washington, DC, Empresarios bandleader Javier Miranda and lead singers Frankie Rosado and Felix Perez all hail from Puerto Rico, and the colorful tropicaliente sound of that sunny island comes through in the band's unique blend of salsa, reggae, cumbia, dub and house. Their third studio album, The Vibes is no exception. The opening "No Vamos A Parar" seems to come into your ears from every directiona hip-hop beat, a funk bass line, a rapped vocal, reggae organ, and tropical horns that blow the feeling of warm sunshine over all. The title track sounds strong and mighty, with reggae horns and organs setting the hot stage for Miami-based Columbian rapper Ephniko Barba Less | DJ Waggy Tee and others to roast and toast on. Featuring the Salsaley Orchestra, "Salsoul" slips into a measured yet slippery "low rider" Latin funk groove that pops with percussion, while scorching trombone and trumpet solos keep the Latin big-band tradition warm. "Encanto" is a love song written for the band's motherland, but it's hardly a balladthe percussion and rappers keep the beat popping while a lusty trombone solo fans its tropical island flame. 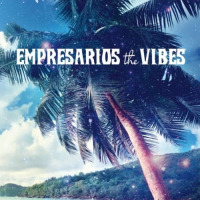 The Empresarios turn their musical vision further south, to the sunny reggae and dancehall sounds of the Caribbean, for this set's last two tunes, the dubby instrumentals "Rootsy Jam" and "Alegria," which creeps along on swirling organ and percussion. The Vibes was composed by Empresarios guitarist Paul Chaconas, and sunnily follows up El Sonido Magico (2013, Fort Knox Records), which climbed all the way to the top of the CMJ world music chart. It took five years and a new producer for Grupo Fantasma, the powerhouse Austin (TX) fusion ensemble that brings together musicians from Texas and Latin America, to follow-up their 2010 Grammy-winner El Existential (Ingrooves/Nat Geo Music). But Problemas, the first release that the band did not produce itself, proves worth the wait. "We thought a new process would help us find a unique voice and create a story," explains bassist Gregorio Gonzalez. "For our part, we felt that one of the challenges we frequently faced was the density of our sound and avoiding the urge to overcomplicate things, which can be easy to do with so many talented and inspired persons involved in the process." 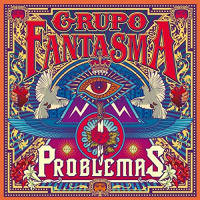 After a long search, Grupo Fantasma eventually selected Steve Berlin, horn player, keyboard player, and (perhaps most importantly) producer for the best music churned out by Latin-rock band Los Lobos, to helm Problemas. Their collaboration sounds like a Latin cross-cultural exchange which spontaneously combusts into a musical fiesta that you were lucky enough to be invited to (or at least overhear). 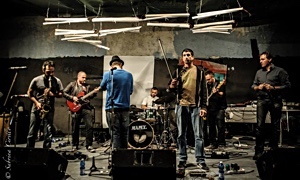 The squiggly electric guitar hook in "Nada" connects its cumbia rhythms with mambo big band brass, which jabs the melody back and forth as if sparring with its arrangement. "Esa Negra" infuses cumbia with a touch of New Orleans funk, heavy metal guitar, dancing accordion, and (for some reason) shouts of "Tootsie Roll!" The lush and deep vocal arrangement in "Porque" truly honors the three-part harmonies in The Beatles' original "Because" (the last song written for Abbey Road). Churning guitar and drums build the 6/8 Afro-Cuban jam "Solo Un Sueño" into a swarming Latin buzz, while "Descarga Pura Y Dura," which translates into "Hard and Pure Descarga," is precisely thatfrantic Latin dance music played hard and hot in a whirling blur of percussion, guitars, horns, and solo after solo. You definitely get the feeling that "Descarga Pura Y Dura" was THE highlight of these recording sessions, and would be a real master-blaster in live performance. Grupo Fantasma and Berlin also let the Latin boogaloo roll: "Cayuco" shimmies in an irresistible Latin boogaloo groove that makes you voice want to sing, and your hips want to swing. "That Night" brings together Latin boogaloo with cha-cha-cha; its resultant dance groove, which throbs from its electric guitar hook core, couldn't rock any harder, or end Problemas any stronger. In 1994, guitarist Sonny Sharrock died from a sudden heart attack at age 53, leaving behind a body of cutting-edge jazz guitar compositions and recordings that still sounds ahead of its time. 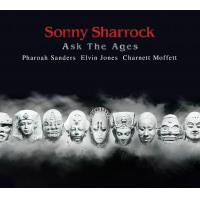 Ask the Ages (1991, Island), Sharrock's last official release, literally was one for the ages, recorded with an amazing quartet which teamed the guitarist with bassist Charnett Moffett and two powerhouse musicians greatly influenced by the sturm und drang of John Coltrane, drummer Elvin Jones and reedman Pharoah Sanders. In 2015, bassist and producer Bill Laswell, with whom Sharrock frequently recorded in ensembles of varying complexity, remastered, enhanced and re-released Ask the Ages into the new millennium. Through Laswell's re-production, Sharrock sounds like he is still waiting for the future to catch up to him. It's not easy to find another guitarist to whom Sharrock comparesperhaps James Blood Ulmer, but that's pretty much italthough saxophonists Coltrane and Ornette Coleman at least provide a little context. In "As We Used to Sing," the guitarist employs what became known as Coltrane's "sheets of sound" before slam-banging headlong into heavy metal and industrial styles and whipping up one of the most insanely adventurous guitar power trio sounds you'll ever hear. "Promises Kept" opens with Sharrock spinning out a spiraling, twin towers guitar riff, harmonizing with itself, to introduce Sanders' solo, which quickly turns into overblown vocalized shrieking, more sound than music; Jones constantly churns an avalanche of rumbling, tumbling drums beneath their craggy and perilous, hard as a rockslide, solos. Bassist Moffett maintains the voice of reason, strong and sure, among three of jazz's most combustible soloists. "Little Rock" swings from his fulcrum almost like jazz, with an opening head that sings like a swing band brass chart, underlined by Jones' swing-style cymbals, while Sanders and Sharrock muse through abstractions of be-bop. Even if Ask the Ages can sometimes sound as if guitarist Sharrock and saxophonist Sanders have no idea where the bass and drums are going to take themhad Laswell tweaked its production with a more metallic sound on its bass and guitar, "Many Mansions" would suggest a free-form, experimental blues by Black Sabbath)they all go there together, even if not in always the exact same direction, at two hundred miles per hour! Tracks: Reflections; Hornin' In; In Walked Bud; Monk's Mood; That Old Man; Humph; Think of One; Ask Me Now; Ugly Beauty; Gallop's Gallop; Straight, No Chaser; Ruby, My Dear. Personnel: Terry Adams: pipe organ, piano; Scott Ligon: guitar, Hammond organ, percussion; Jim Hoke: alto saxophone, harmonica, pedal steel guitar, ocarina; Klem Klimek: alto saxophone, tenor saxophone; Pete Donnelly: electric bass; Pete Toigo: bass; Conrad Choucroun: drums; Joe Jewett: violin; Hillary Tanaka: violin; Greg Diehl: violin; Liz Rose: violin; Christine Mortensen: French horn; Jean Jeffries: French horn; Kitty LeBlanc: harp; Norm DeMoura: percussion. Tracks: Saniscara; Desember; Jayaprana; Ruang Dialisis; Just Kidung; Payogan Rain. Personnel: Dewa Budjana: electric guitar, acoustic guitar; Joe Locke: vibraphone; Antonio Sanchez: drums; Ben Williams: upright bass; Indra Lesmana: piano, melodica; Jro Ktut: vocals. Tracks: The Patriotic Flag Waver; Mama Roux; Jump Sturdy; I Walk on Gilded Splinters (Part I); I Walk on Gilded Splinters (Part II); Gris-Gris Gumbo Ya-Ya; Loop Garoo; Wash Mama Wash; Iko Iko; Huey Smith Medley; Wang Dang Doodle; Big Chief; A Man of Many Words; Right Place Wrong Time; I Been Hoodood; Such a Night; Cold Cold Cold; Life; Let's Make a Better World; MeYou = Loneliness; (Everybody Wanna Get Rich) Rite Away; Mos' Scocious. Personnel: Dr. John: piano, keyboards, guitar, vocals; Eric Clapton: guitar; Buddy Guy: guitar, vocals. Tracks: No Vamos A Parar; Morena; A Fuego Lento; The Vibes; Encanto; Pá La Calle; Salsoul; Placeres; Rootsy Jam; Alegria. Personnel: Javier Miranda: percussion; Frankie Rosado: vocals; Felix Perez: vocals; Paul Chaconas: guitar, melodica, bass, keyboards, programming; Anthony Gary: drums; John Bowen: effects; Sonny Cheeba: DJ, production; Arsam Khosh: DJ, production; Percy Recavarren: trombone; Marco Alzamore: trumpet, vocals; David Boborquez: vocals. Tracks: Nada; Solo Un Sueño; Porque; Esa Negra; Mulato; Descarga Pura Y Dura; Otoño; Problemas; Cayuco; Roto El Corazon; That Night. Personnel: Jose Galeano: timbales, vocals; Kino Esparza: vocals, percussion; Beto Martinez: electric guitar, acoustic guitar; Adrian Quesada: electric guitar, acoustic guitar; Greg González: electric bass, upright bass; John Speice: drums; Matthew "Sweet Lou" Holmes: congas, bongos; Gilbert Elorreaga: trumpet; Josh Levy: baritone saxophone; Mark "Speedy" Gonzalez: trombone; Eric "Skerik" Walton: saxophone; Joel Guzmán: accordion; Brad Houser: bass clarinet; Michelle Alany: violin; Anthony Farrel: Fender Rhodes, Hammond organ; Leo Gauna: trombone; George Shalda: trumpet; Nick Stephans: tenor saxophone, alto saxophone; Greg Wilson: alto saxophone. Tracks: Promises Kept; Who Does She Hope to Be; Little Rock; As We Used to Sing; Many Mansions; Once Upon a Time. Personnel: Sonny Sharrock: electric guitar; Pharoah Sanders: tenor saxophone, soprano saxophone; Charnett Moffett: acoustic bass; Elvin Jones: drums.